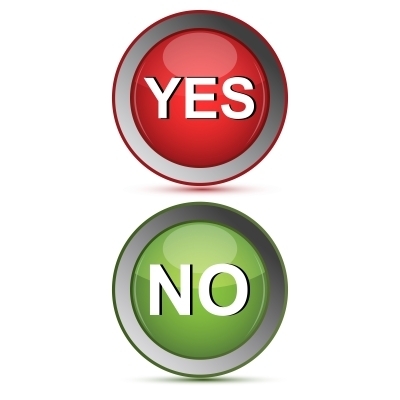 Do you want a financial white paper writer who says “yes” to everything you write or suggest? I say “no.” Financial white paper writers who push back can be the best friends of companies that aren’t familiar with how to write great investment or wealth management white papers. Don’t get me wrong. Your white paper writer should respect your goals and desires. However, the best financial white paper writers will push you to create the best white paper possible. They will say “no” when your white paper is weak in the areas I discuss below. If your white paper doesn’t identify a problem experienced by your target audience, then it’s not going to attract prospects or convince referral sources to pass along your name. You need to answer the question of “What’s in it for me?” (WIIFM) for your prospects. You should also understand the WIIFM for your business. For example, imagine that you pose the topic of “401(k) plan types.” Who cares? That sounds like a dull reference work that could only interest an ERISA attorney or defined contribution recordkeeper. But how about “the 401(k) plan characteristics that boost participation and simplify plan administration”? That’s a winner that will help both participants and the plan sponsor. If your firm helps plan sponsors achieve those characteristics—or if this topic enhances your credibility as a provider of related services or products—then this topic helps you to achieve your business goals. Who is your target audience and what do you want them to do after reading the white paper? What is your topic and why will your target audience care about it? What problem does this topic solve for your readers? Good white papers focus on solving problems, not promoting the firm that publishes them, as I explained in “White paper marketing: Walk a fine line.” If you truly seek a white paper, your writer should say “no” when your draft becomes a brochure. Your experts know what they’re talking about. But sometimes it’s hard for them to explain their ideas in plain English. As a result, your readers won’t appreciate the value of what you write in your white papers. Take for example, the concepts of “asset allocation” and “diversification.” These are easy for investment professionals to understand. However, they require explanation and perhaps even some examples to make sense to less sophisticated individual investors. A good white paper writer won’t hesitate to push you on this. Poor organization and bad wording will confuse your readers. They may even drive them away. When you give a weak outline to good writers, they’ll fight back. They’ll propose a new, stronger outline that will let your ideas shine. They’ll also polish your wording. You need a white paper writer who’ll be responsive to your needs. Sometimes that means saying “no” to the way your ideas are presented. That’s part of the value that good white paper writers bring. What should you call your white paper? https://www.investmentwriting.com/newsite/wp-content/uploads/2016/02/yes-no.jpg 400 400 Susan Weiner, CFA https://www.investmentwriting.com/newsite/wp-content/uploads/2016/12/investmentwriting_logo_2016.png Susan Weiner, CFA2016-04-05 05:50:102016-04-29 11:02:07Financial white paper writers who say "yes"
A good financial writer will also ask “dumb questions” if he or she doesn’t understand concepts or terminology being discussed during the white paper topic development. The questions are important because if the writer who is engaged to actually write about a topic doesn’t understand it, chances are the reader won’t either without some deeper, clarifying explanation. Just as good financial writers are apt to push back and say “no” during the creative process, they are also unafraid to ask those “dumb questions”. How to edit your financial firm’s bios Stop saying “Click here”!